Featuring a new epilogue read by the author. Although Jobs cooperated with this book, he asked for no control over what was written. He put nothing off-limits. He encouraged the people he knew to speak honestly. And Jobs speaks candidly, sometimes brutally so, about the people he worked with and competed against. 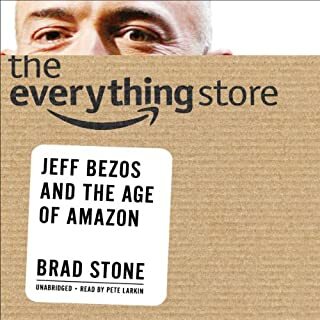 His friends, foes, and colleagues provide an unvarnished view of the passions, perfectionism, obsessions, artistry, devilry, and compulsion for control that shaped his approach to business and the innovative products that resulted. What a great artist he was and what a great book written by Isaacson. His legacy will be around forever. I remember the first time I saw a Mac as kid in early 2000s; it inspired me to love computers instead of being daunted by them. This book is a fitting tribute to a man who inspired millions of kids to embrace the tech revolution. The book covers Jobs’ life rationally, without glossing over the negatives and hyping the positives. 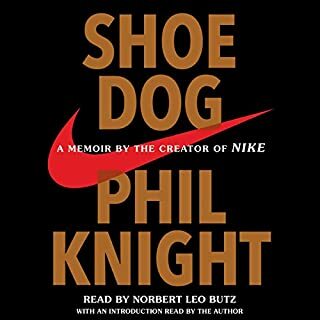 An abridged version of this book focusing only on his creative and business thinking should be made widely available for executives and high schoolers alike. Great read. The narration was superb. Great stories about this complicated, flawed man. Highly recommend. I was hoping for more of an inspirational story, but this book mainly discussed what kind of not-so-nice person Jobs was. A genius, but not a great guy. I got tired of hearing this every few paragraphs, so stopped listening about half way through. 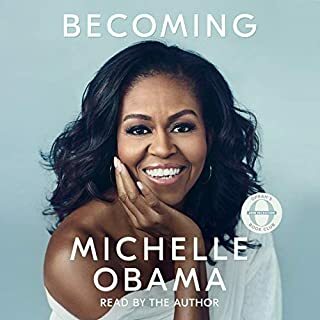 First of all thank you to Audible for providing this book. Audible#1. 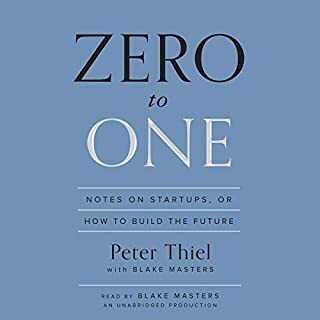 I was never into audiobooks and always had been a hard copy kinda person but I wanted to give audible a try since I wanted to maximize my learning when I am driving, cooking and doing other daily chores. 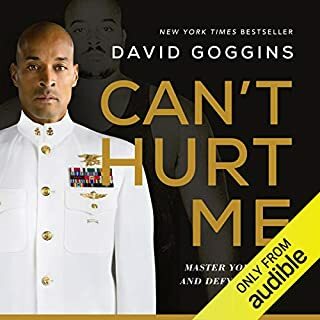 After using it for the trial period I decided to keep going as audible is so easy to use and has almost all the books I am interested in. Features like using multiple devices, devices able to recognize where you left off on your last device are just so convenient. 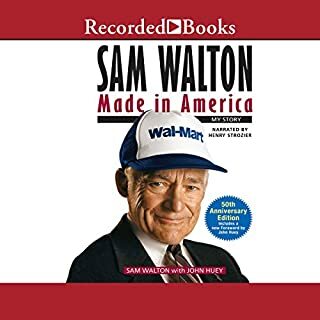 The book is well narrated and it’s written by Walter Isaacson who is a well known writer. I was not aware of the popularity of Steve Jobs and his iconic status until I read some article about him and researched into him which made it irresistible for me to not buy his biography. I am mind blown by his story and know about character of this man. He was as dark as as great visionary who was super passionate towards his products. 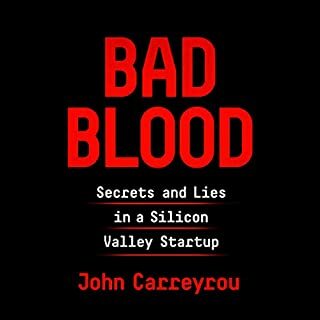 The book provides enough background story to be able to form an unbiased opinion of him in both roles he played at Apple, that of a CEO/Leader and a product developer. I loved how the writer at the very end linked events in Jobs’s life to how these events and circumstances shaped who he was as a person. The book was all in all very engaging and enlightening. 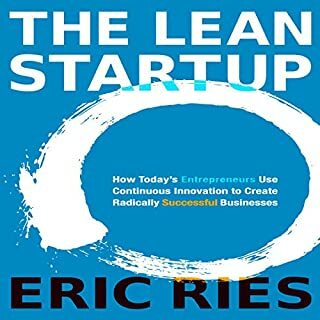 Great Listen - Learned a lot I didn't know. One of the good biographies out there, which shows a highly successful person can also be a real jerk. Listened to the narrative on #Audible1 and it was great daily dose of listening. The voice of the speaker is very clear. Steve Jobs life was interesting from day one. The book is well written and well read. I did not want the book to end. I did not want Steve Jobs' life to end. He was a unique individual with a passion for perfection. The book was well worth twenty five hours of my life. I'm a little less than a third of the way through and find the book quite interesting. It seems to be a fair portrait of Jobs, blemishes and all. I'm writing this before finishing, though, in defense of the narrator, who seems to be taking quite a few hits on this page for, apparently, not sounding enough like Steve Jobs. Here's my take: The narrator is just fine, and does a clean, professional job, comparable to what you get in many of the best biographies. I've heard "terrible" narrators; this fellow is not one. His reading is nothing that would normally raise complaints. He does not do a Steve Jobs impersonation, which is exactly the way I, personally, would like him to approach it. But Jobs was such a public personality, with a nearly cult-like following, that some listeners seem to be taking their obsession with Jobs out on the narrator because he is not Jobs. I don't think that is reasonable. So, I'm enjoying the book. I hope you will as well. After many, many, recommendations, I gave in. For whatever reason, I had spoken with at least a half dozen people within a week who had either recently finished the book, or were close to finishing it. I originally thought that I might get around to this someday, mostly because the idea of reading a biography of someone so recently alive seemed mundane compared to the backlog of great biographies that I would like to get to. I am very happy that I did get to it now. This was a wonderful biography of a sometimes horrific, often brilliant, and almost always headstrong man. 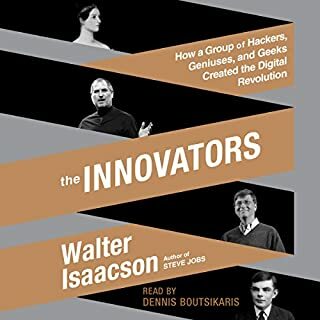 Isaacson does a great job balancing the competing storylines that could be attached to Steve Jobs. 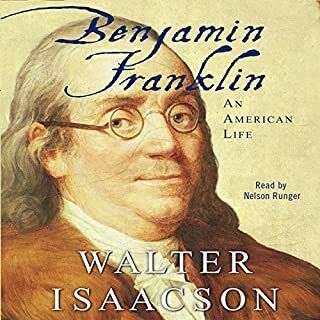 While it feels like Isaacson does side with Jobs' worldview a bit too often, he does ensure that there is a bright spotlight on the foibles of a man who most of us knew only through the press. It is a difficult job to portray someone whose echo through history has only just begun. So many of us have opinions about Jobs, and Isaacson really makes no attempt to sway us. He gives plenty of ammunition to both supporters and detractors. In the end, I think he means to say that it doesn't matter if you were for or against Steve Jobs, the man. Instead, it is about the kinds of legacies we wish to leave, and how one man shaped his own. Highly recommended, especially when so many of your friends have already read this. Steve Jobs Unabridged by Walter Isaacon is very well written. I thought the narrator Dylan Baker was above average despite some of the poor reviews I read on him. I am a tech- enthusiast and theologian. 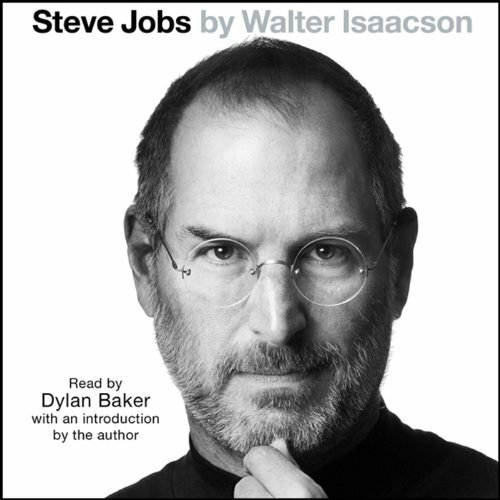 Steve Job's was a complex man and Isaacson captured his very essence in this book. 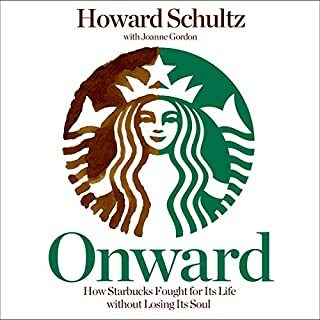 Having read (listened) to his so close after the passing of Job’s his book takes Steve off the high devine pedestal that we put people shortly after they have past and brings us smack back into the humanity of Jobs. 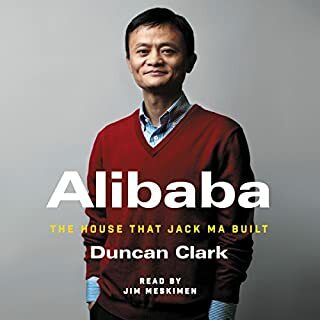 What I loved most about this book is how Issacson not only displayed Job's journey in developing business & technology but also in his spirituality & personal relationship and how each part of the journey intertwined with all aspects of his life. What I thought would be a dry tech book turned out to be both a very inspirational book about the advancement of humanity and leaves the reader to self-reflection about one’s own identity and personal growth. Jobs’ innovations and legacy will live on for many generations to come. This is a must read. If you've ever wondered what Steve Jobs was really like, this book is for you. Isaacson's holds nothing back in describing both the genius and the jerk that was Steve Jobs. Overall, despite the brutal honesty regarding Jobs' MANY quirks, I think the book was favorable to Jobs. I came out of it admiring him as a visionary, but also thankful that I never had to work for him. Steve Jobs is our generation's Walt Disney: a brilliant innovator who beautifully blended art and technology while building some of the most enduring and iconic companies in human history. Other parallels to Disney: they both had complete control over their companies' direction; they were both highly visible spokesmen (even icons) for both the company and the brand; they both left behind a changed world (Disney with animation and theme parks, Jobs with the iPod/iPad/iPhone/Pixar); they were both astute businessmen in addition to being visionaries; both were pioneers in revolutionizing animation in feature films; and of course, sadly, both died too young of cancer. I've also enjoyed Disney biographies, particularly the ones, like this bio, which took an honest look at the flaws as well as the genius. I am not a huge Apple fan but I loved this book, and I love Steve Jobs; not because of who he was but for what he did. His greatest achievements -- iPod, iPad, iPhone, and Pixar -- were all revolutionary inventions, literally creating something new out of nothing. What would be the state of portable consumer devices today without Jobs? Would we still be using clunky flip phones with atrocious software? Would we have elegant graphical interfaces on our computers or devices? And what about family films? Would we be taking our kids to see abysmal Disney movies like Treasure Planet, rather than beautiful, inspired, emotional epics like the Toy Story trilogy and Finding Nemo? Even for those of us who aren't "Apple people" can thank Jobs' vision for pushing our culture in the direction of beauty and quality. This book highlights Jobs' vital role in all these revolutions. Particularly compelling are how Jobs was able to conquer both the music studios AND Eisner-led Disney in the span of a few short years. The details of those conquests are priceless, and this audiobook is worth it for those two tales alone. I also liked the details of his relationship to Bill Gates, and how it evolved through the years (hint: it was not as contentious as I'd always believed). But there is also much more. I found myself thinking "what a jerk" one second, and "what a genious" the next -- and then quickly back to "what a jerk" again. He is a study in extremes. I came into this book not knowing WHAT I'd think of Jobs in the end given some of the shocking excerpts in the press. I thought it was a good possibility that I'd hate the guy. But Isaacson effectively shows the humanity behind the insanity, and by the end, I can honestly say I genuinely liked him. I was even a little choked up by his cancer plight. It's so sad that the pre-eminent visionary of our time was taken from us in his prime -- not unlike Walt Disney was taken from us almost 50 years ago. So I guess in the end, Steve's impeccable taste served him well. 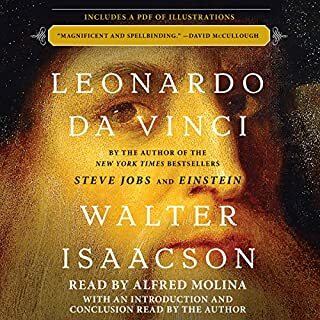 In choosing Isaacson and giving him open access to his past, Jobs succeeded in putting out one last perfect product: a lasting image of himself that perfectly demonstrated his humanity, his deep flaws, and his enduring genius. I think he would have loved the result, and I did too. Dylan Baker's narration is excellent. Baker has a little sarcastic twang that I think is perfect for this man, and for this material. Wise choice. Fine narration and a compelling story. I thoroughly enjoyed this book and, as I cannot improve on the many positive comments, I write in defense of the narrator. As a longtime Audible subscriber, I've listened to many of the best (and some of the worst) narrators in the Audible world. Frankly, I find some of the negative comments for this book's narration to be over the top and a few are downright mean spirited. That said, all are entitled to their own opinion. I found the narrator to be well-paced with a clear, pleasant voice and nice inflection, Do not be put off. 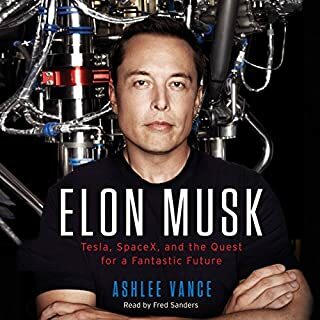 This is a great book about a true visionary in our own time. Narrator, Dylan Baker, does a fine job with this much anticipated Audible release. Enjoy! This was a interesting bio. Dylan Baker did good job narrating. I was particularly interested in the part about Pixar. I noted that book Jobs and his sister were very smart and had creative talent even though they were raised by different people. Fascinating to read about some one who lived in the same area and time as one self. You will not be disappointed in this book. 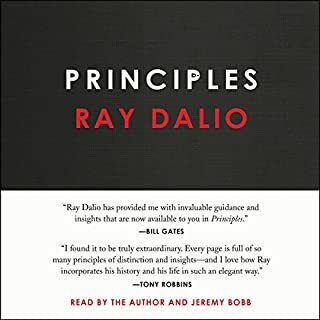 I have no interest in Steve Jobs, Apple or computers or business in general, however, this book is about an innovator, who changed the world and his story is amazing. 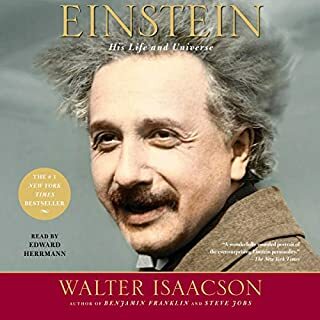 I consider this to be one of the best books I've listened too and Isaacson is an outstanding writer as well! I love Apple so by default I love Jobs. I say this as a disclaimer but also because after reading this book it is my honest opinion that Steve Jobs was probably insane but that makes him no different that most people of amazing genius. 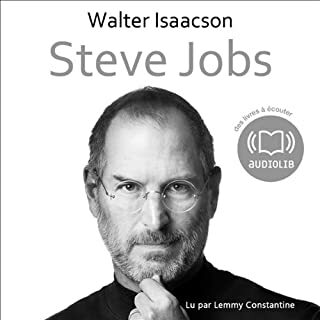 You will find in this book a great bio of a man you will find complex and strange and after finishing you will respect him, but I am not sure if you like him or even want him in your life, just his products. A brave and very candid look at an icon that has changed our world probably even more than we can yet grasp (think of the images of international political upheavals, mistreatments, the disasters in Japan...). I don't think superior intellect or ability excuses bad or unkind behavior of any kind, and his absolute forthrightness regarding these improprieties made this all the more fascinating to listen to. There's a lot of mischief and down right mean behaviors revealed about Jobs' personal and professional road to legendom. Years ago I went to a conference that focused on the psychology of a possible connection between some great thinkers (inventors, artists, etc.) and insanity, what we might label "mad geniuses"; I don't know if Mr. Jobs was in this category, but he definitely was a genius that often behaved erractically in his imposing journey that has left a monumental impact on the world. 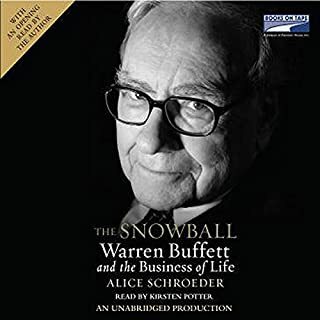 Extremely well researched; performance passable for a non-teckie, but if you listen, you'll have no doubt what Mr. Jobs would have thought about the performance!